Cleaning high volumes of surface condenser tubes take a toll on the operator. The BSL-50 includes a variety of ergonomic features to aid in managing fatigue, like an easy-to-attach, padded aluminum shoulder stock that provides added leverage when you need it. This patented system uses small amounts of high-pressure water to fire projectiles down tubes, quickly cleaning dirt and debris, all while minimizing wastewater. It also includes a separate, patented air pressure assisted trigger, which requires an incredible 90% less effort for firing projectiles - what a difference it makes when you have thousands of tubes to clean! 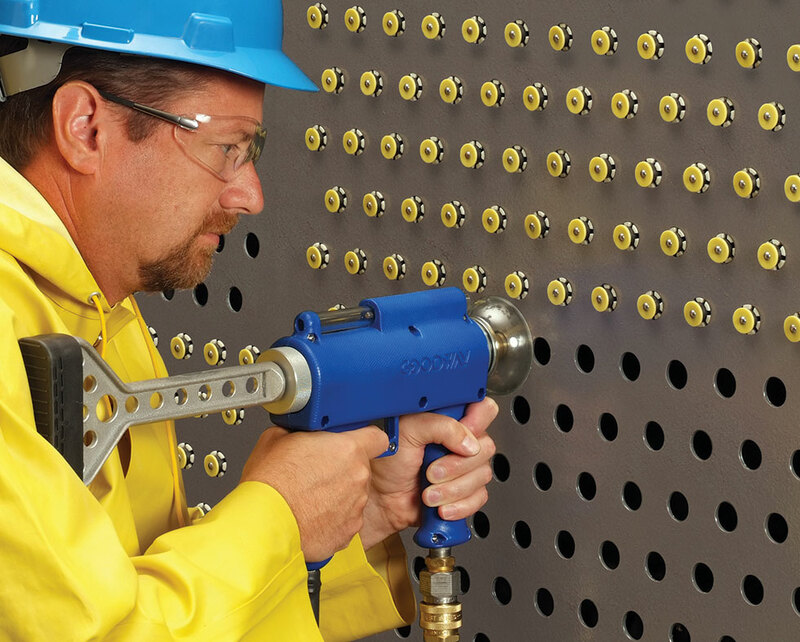 There's no bulky pressure gauge on the BSL-50. The simple cleared-tube indicator reliably shows when the projectile has exited the tube. But don't let all this comfort fool you, with a flow rate of up to 50 GPM, the BSL-50 Big Shot cleans tubes faster than ever. 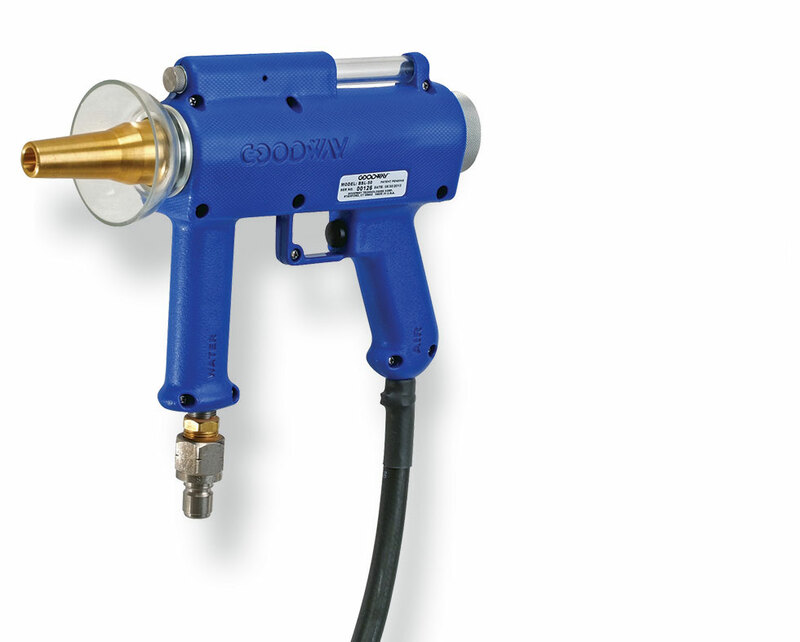 Use with the BFP-3510 or other tube shooting machines. Note: BSL-50 uses only water pressure to fire projectiles. Air only used for trigger assistance. 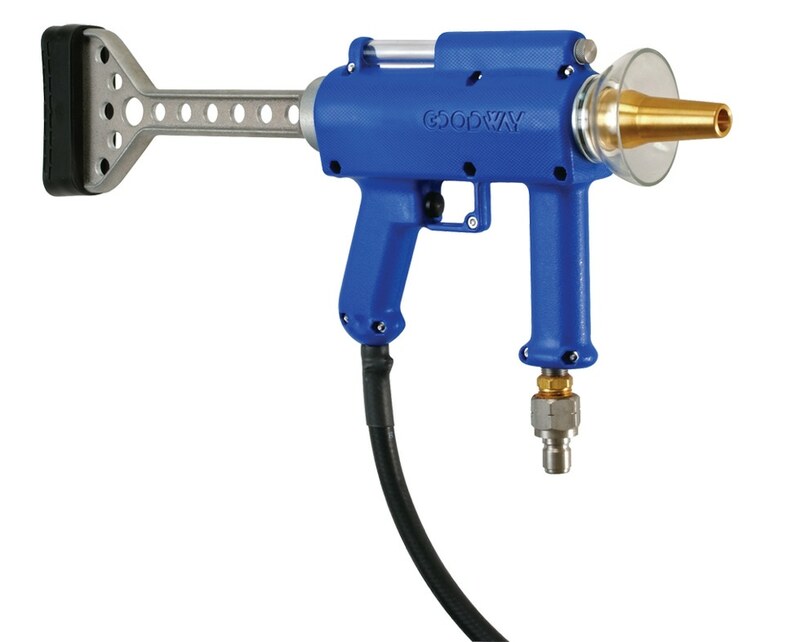 BSL-50 tube cleaner gun, quick connect fittings and case.